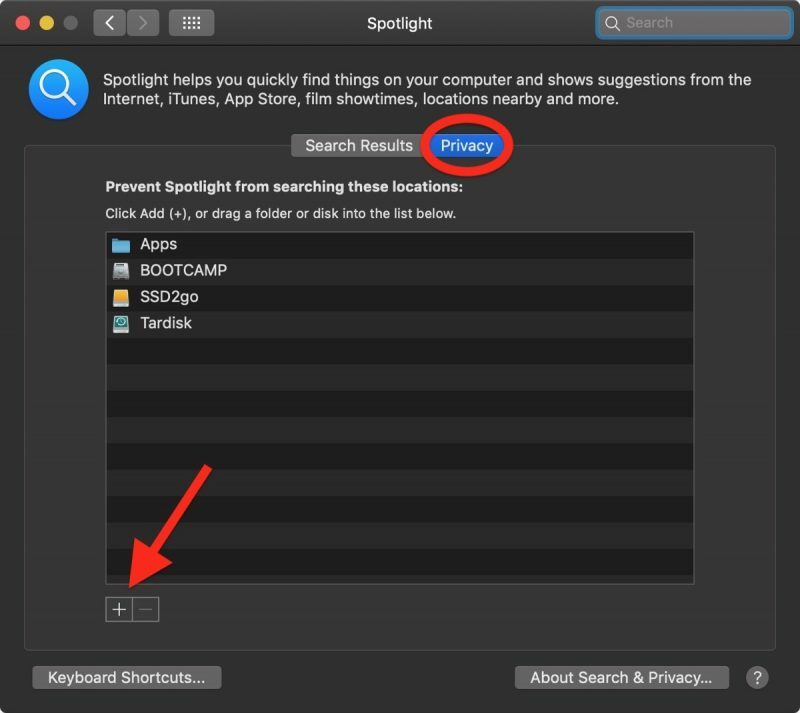 Apple has enhanced Spotlight search in macOS in recent years, with the addition of Spotlight Suggestions allowing it to tap into a variety of online data sources like weather and sports. 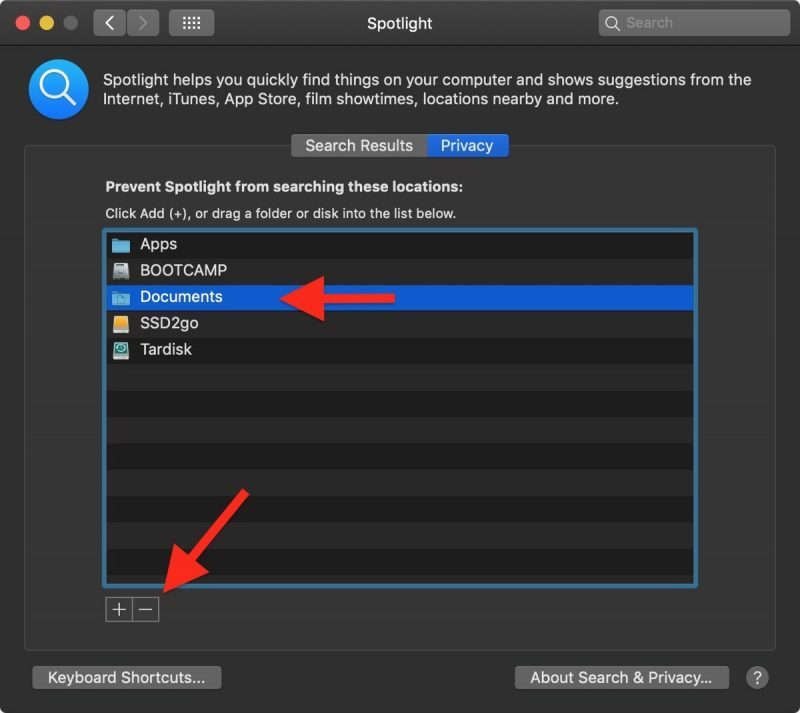 Nevertheless, helping you find apps, documents and other files stored on your Mac is still what Spotlight does best. That's not to say its core function is infallible, however. If Spotlight can't find files that you know exist on your Mac, or if it stops prioritizing results based on your earlier searches, then it's probably a sign that your system's search index is damaged somehow. If you're experiencing odd behavior when using Spotlight, you should try rebuilding its search database index. There are Terminal commands that will do the job, but you can achieve the same result via the regular macOS user interface in just a few quick steps. Here's how. Select System Preferences... from the Apple () menu at the top left of your screen. Select the folder or disk whose index you wish to re-build, then click Choose. Alternatively, drag the folder or disk into the list. We've chosen Documents in our example. In the same list, click the folder or disk that you just added and then click the Remove (-) button. Click the red traffic light button to close System Preferences. 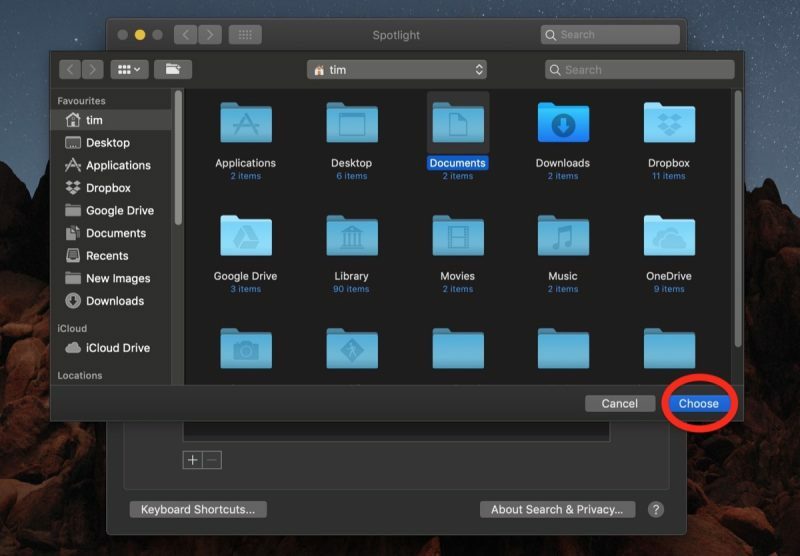 Once you've completed these steps, Spotlight will begin reindexing the contents of the folder(s) or disk(s) you chose, which may take some time and a few processor cycles. 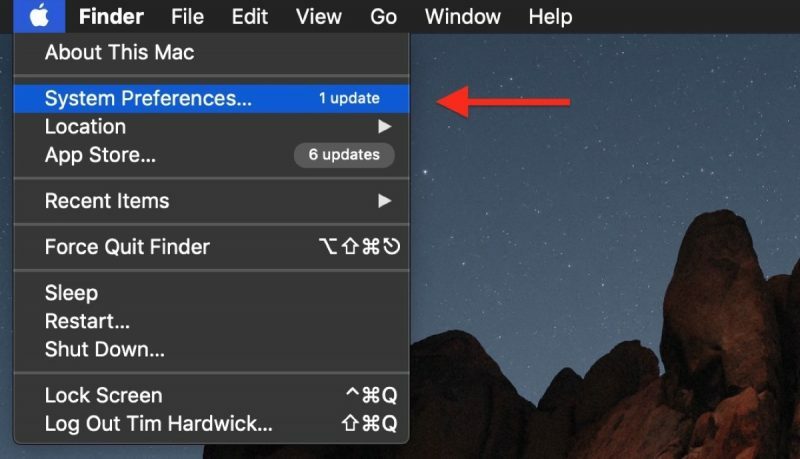 Depending on which version of macOS you're running, you may see a rebuild progress indicator in Spotlight's menu bar item. With a bit of luck, your Spotlight problems will have been resolved once indexing is complete. You can also perform a system-wide re-index of the Spotlight database, among many other optimizations, using Titanium Software's free Onyx utility, which is available for all recent versions of macOS. You can also perform a system-wide re-index of the Spotlight database, among many other optimizations, using Titanium Software's free Onyx utility ('https://www.titanium-software.fr/en/onyx.html'), which is available for all recent versions of macOS. You can also just run this command in Terminal and it will do a system-wide Spotlight reindex. I've tried this rebuild previously and found it did not change anything. One issue I have noticed a Spotlight reindex will often fix is if you are getting an incorrect readout for Storage in System Report. If the Spotlight index is corrupted it will make that storage readout all wrong and a reindex can fix it. Onyx is a great utility, been using it for years. It also gives you access to enable a bunch of other hidden settings and options. For example, One option I like to enable is turning launchpad's background to greyscale. I find this makes it easier and faster to locate items on the launchpad that I don't frequently access. 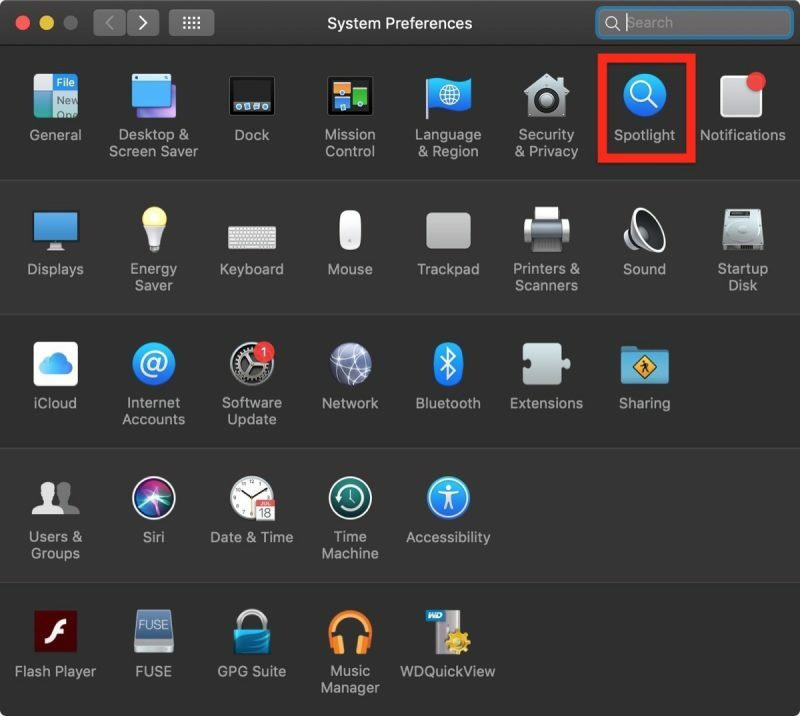 It seems that Apple assumes Mac users only need to search Mac formatted drives that are connected directly to Mac computers running Mac OS. Forget about shared folders on Windows servers or read-only volumes such as NTFS drives or DVD media. Even with simple filename based searches, Mac OS 9 from 20 years ago or even Unix find seems to find filenames better than Spotlight when searching "non Apple approved" volumes. Also, what search engine does Apple use on their own Support website? Trying to search for a simple phrase returns hundreds of pages of irrelevant results. It also seems like their website search uses implicit "OR" instead of "AND" for searches containing multiple words. It's pathetic that I have to use an external Google search to find stuff inside Apple's own website. I never knew this was possible. Weird timing. I was having an issue with two of my Sierra Macs where the Spotlight window would disappear right after beginning to type. I forced a re-index and it seems to have fixed the issue. Yeah, OnyX is amazing. I find it super useful to change certain parameters, like how screenshots are named and what format they're saved in. when you combine spotlights PDF indexing with the Fujitsu Snapscan with OCR and coverflow, the results are amazeballs. Apple should advertise this functionality. It’s an amazing paperless workflow. If apple added AI bill, business card, and receipt recognition to spotlight that would be even better. That’s all I got to say about spotlight! Long live coverflow! 1) Odd behavior when using Spotlight? Click to rebuild its search database index.